Indiana, PA - On April 17 – 20th USA Wreslting hosted the FloNationals which took place in Indiana University of Pennsylvania in Indiana, PA at the Kovalchick Convention and Athletic Complex. 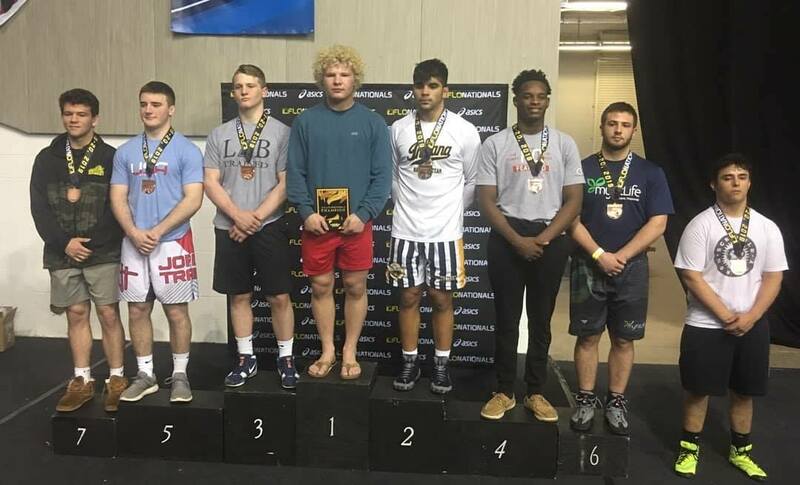 Congratulations to Sam Fisher for competing at FloNationals and taking 1st place in Greco Roman and a 3rd place finish in Freestyle. Sam Fisher standing on top of the Awards pudium - After winning the 4A State Championships. 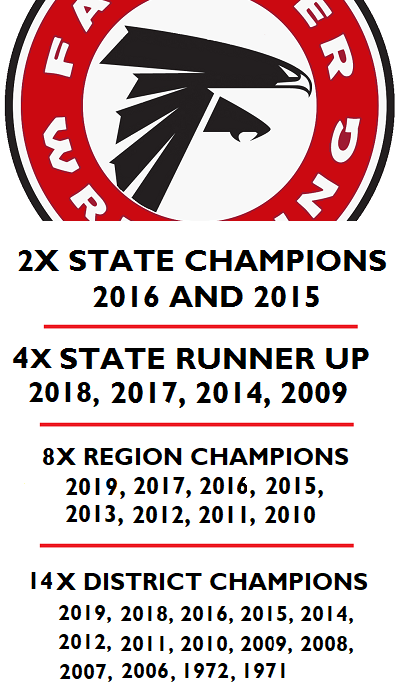 At the end of the 2015 wrestling season I went to work while gather input from present and past coaches to put down 25 top level moments that team Fauquier wrestling had endured. Five years later the list has grown to 43 Greatest Moments and Achievements. 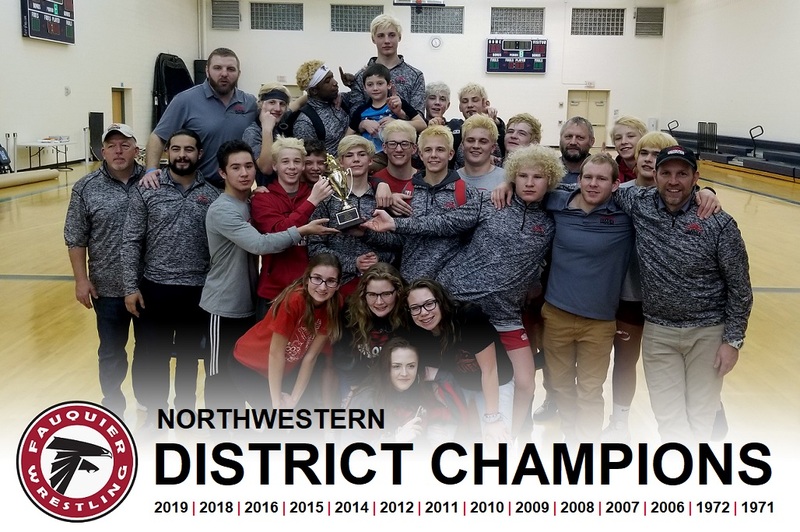 The 2018-19 wrestling season had team Fauquier going 13-12 while holding a 3 and 3 record in the Northwestern District. 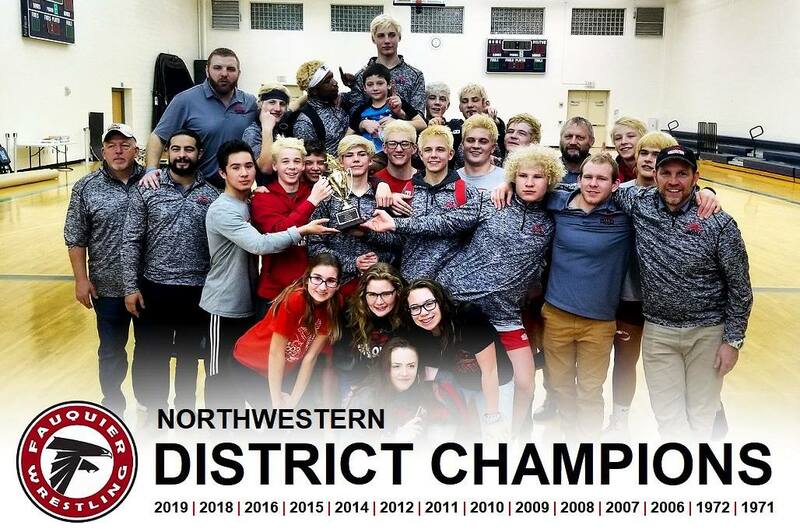 These in-season duals might have tested the Falcons but once the post season came around, Fauquier showed all that the Northwestern District and Regional Championship belongs to Fauquier Nation. Sam Fisher in action at the 4A State Championship. 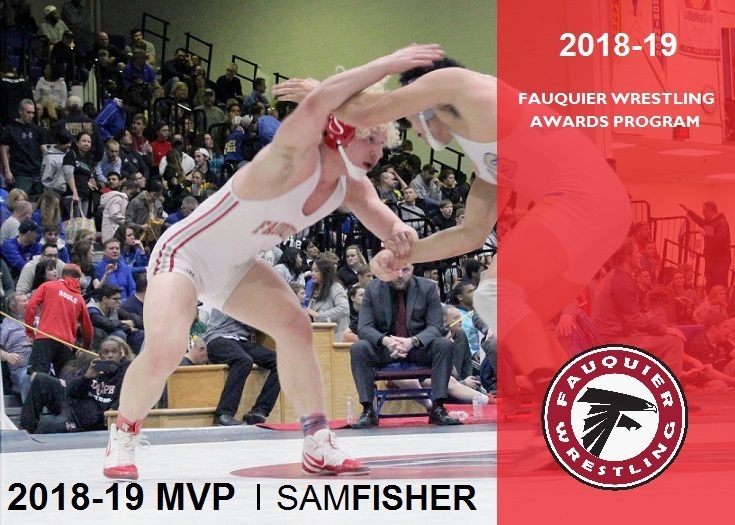 Sam was named the 2018-19 Fauquier Wrestler MVP/Booster Award. 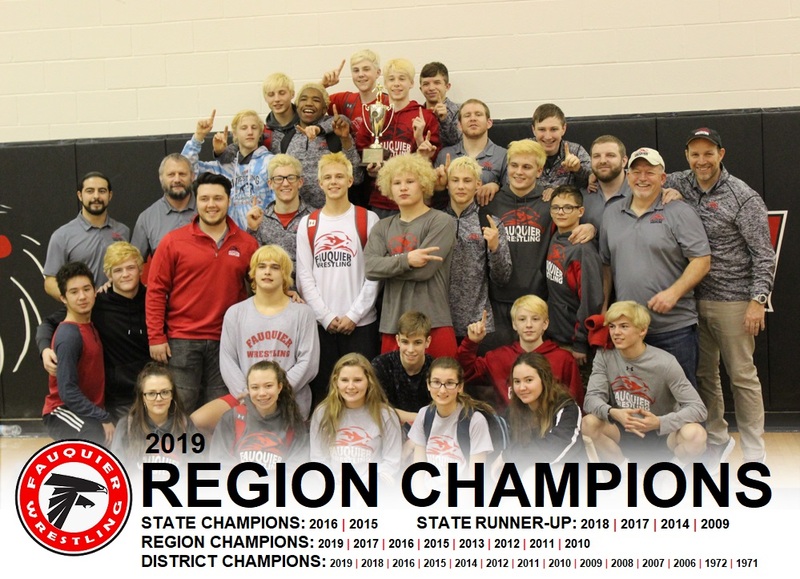 Fauquier wrestling team came together On Wednesday, March 6th to hand out the 2018-19 team awards at the winter sports recognition program. As the MVP award for all Fauquier winter sport teams were issued in Auditorium, teams then split off into different groups to hand out its additional awards. Below are the awards and wrestlers that were honored. 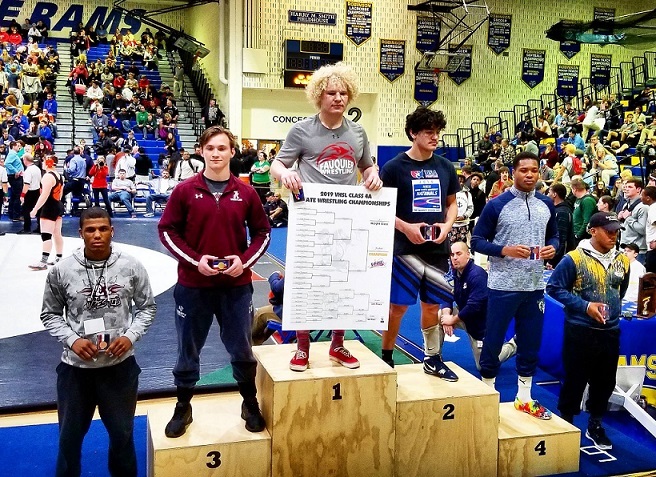 Millbrook HS., Winchester, VA: On Saturday February 2nd the Falcons wrestled in the first level NW District Wrestling Championship and came home with the first-place trophy for the 14th time in school history. 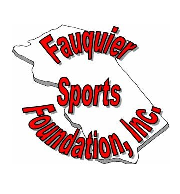 As the icy cold conditions called for the Tournament Director to adjust the start time for this District event from 9AM to 2PM, Fauquier Nation arrived at Millbrook HS. to show all that they were not a sleeper of any sort, rather a force. Warrenton VA: As the final match of the season took place on a Friday during a school day, the time of the meet drew high school students and fans into the stands to watch two state ranked teams. 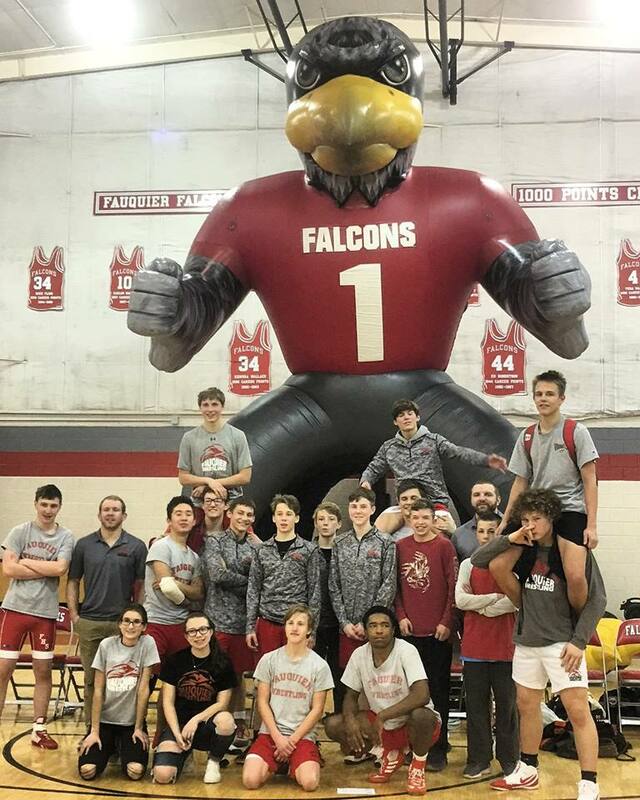 Yes, team Fauquier hosted a 1:30PM start time for this final dual of the season that had the Falcons sealing a close 33-29 victory over Brentsville HS. Individual victories came from Mitch Kuhns, Eric DeWald, Darryl Mayfield, Kevin McEachin, Sam Fisher, Casey Burr, and Thomas Heisler. Eic Dewald, Sam Fisher, and Thomas Heisler all earned pins for team Fauquier. Next: The Falcons will be gearing up for the post season that starts on Feb. 2nd at Millbrook HS. More information to come with the post season. 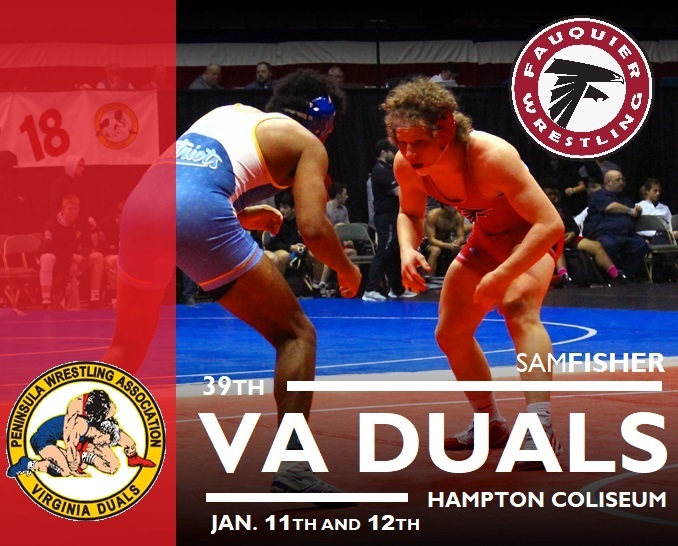 Hampton VA: As team Fauquier competed in 39th Virginia Duals for the twelfth year they ended up going 2-2 in the America Division. A dual format event that if you lose twice you become eliminated. The Virginia Duals continues to be one of the best tournaments in the state of Virginia. Kevin McEachin (170) and Sam Fisher (182) both win 4-0 for the event.